The Volcán de Fuego, a volcano in the Southern region of Guatemala, erupted unexpectedly on Sunday, killing at least 75 people. Videos and photos of the eruption have been spread across social media, showing images of residents fleeing the disaster as well as destroyed cars and buildings covered in a thick layer of ash. 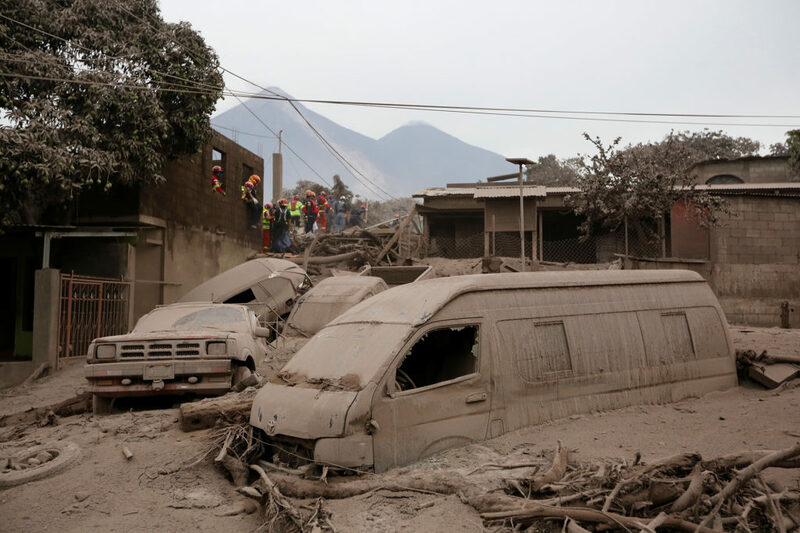 Firefighters and rescue workers look for bodies and survivors at an area affected by the eruption of the Fuego volcano in the community of San Miguel Los Lotes in Escuintla, Guatemala. REUTERS/Luis Echeverria. The eruption was especially deadly due to its a pyroclastic flow — a combination of hot lava, ash and volcanic gas that traveled down the volcano at rapid speed. New flows were also reported late Tuesday afternoon. The country’s disaster agency ordered additional evacuations from the areas surrounding the volcano. 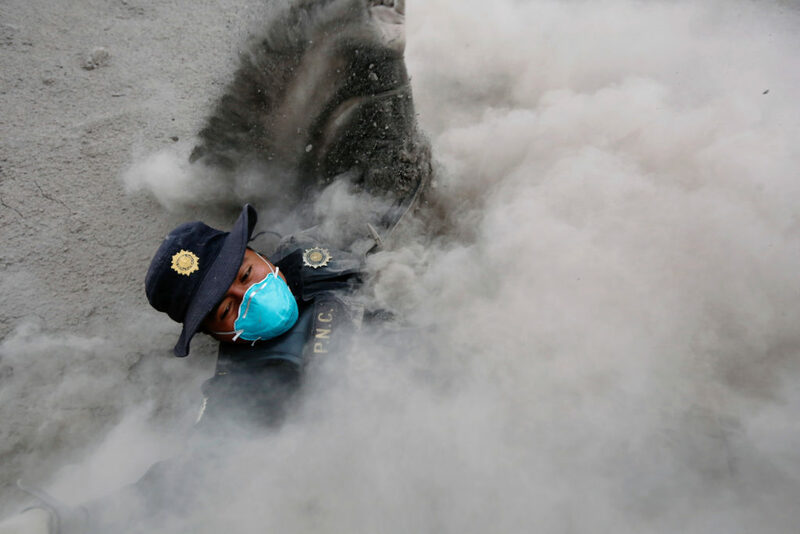 READ MORE: What made Guatemala’s Fuego Volcano eruption so deadly? Thousands of residents have evacuated the area and have been placed in temporary housing, according to the BBC. The death toll is expected to rise as officials continue to search for missing people amid the accumulated debris. 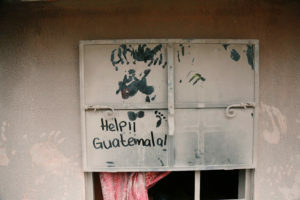 Here is how you can help Guatemalans as they begin to rebuild and recover. GoFundMe has put together a list of verified campaigns that are directing aid those directly impacted by the volcano as well as relief efforts. The Red Cross is on the ground in Guatemala. Efforts there are being led by CruzRojaGT, the Guatemalan arm of the organization. It’s accepting monetary donations via money transfer. The organization is also seeking blood donations and specific good donations like latex gloves, diapers and soap from those in Guatemala. The Miguel Vargas Association is accepting donations to aid with recovery, specifically to help with medical assistance and supplies. Rotary Club of Guatemala is accepting donations via wire transfer. If you are in Guatemala, Uber will drive to you to collect donations of goods for those impacted by the volcano. The God’s Child Project has launched a “massive relief effort.” Donate online or by mail; the organization’s donors are matching the gifts they receive. The Catholic Relief Services is accepting donations as it works with local churches in Guatemala to help families who have had to evacuate. World Vision is providing food and water to shelters housing those who had to leave their homes. In addition to monetary donations and goods, you can raise awareness on social media. The hashtags #PrayForGuatemala and #GuatemalaEstoyContigo have helped bring more attention to the devastation the volcano has caused. Note: We verified organizations to the best of our ability. If you aren’t sure about the legitimacy of a charitable organization visit Charity Navigator. What made Guatemala’s Fuego Volcano eruption so deadly?